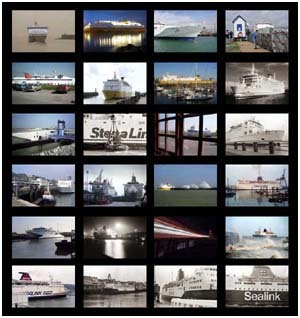 Click on the picture to the left to view my photo collection of the Newhaven Dieppe ferries, 1977 to date. Two pictures merged to show all of Newhaven Sandy Beach. May we have it back, please? For New Haven Connecticut or New Haven Massachusetts, try elsewhere ! Take a look at this amazing clip of steam in Newhaven, (Sussex) about 1960, courtesy of "Southern railway films "